In wall fish tank installation in Newcastle completed today. This custom aquarium is located in a brand new nursery. Its decorated with a colourful coral theme and characters from Finding Dory. The tank measures 1.2m long x 0.4m deep x 0.6m high and stands between the nursery’s reception and sensory room. It’s lit by automated blue lighting and contains a range of tropical fish. This custom tank is fitted with an automatic feeding system. Thus ensuring the nursery staff only need to performed very little maintenance. Additionally, the nursery have chosen to employ our Newcastle fish tank cleaning service to keep the aquarium in tip top condition. During each maintenance visit our technicians perform a water change, water test, tank and filter clean. As well as change the decoration inside the aquarium to freshen up the fish tanks display. 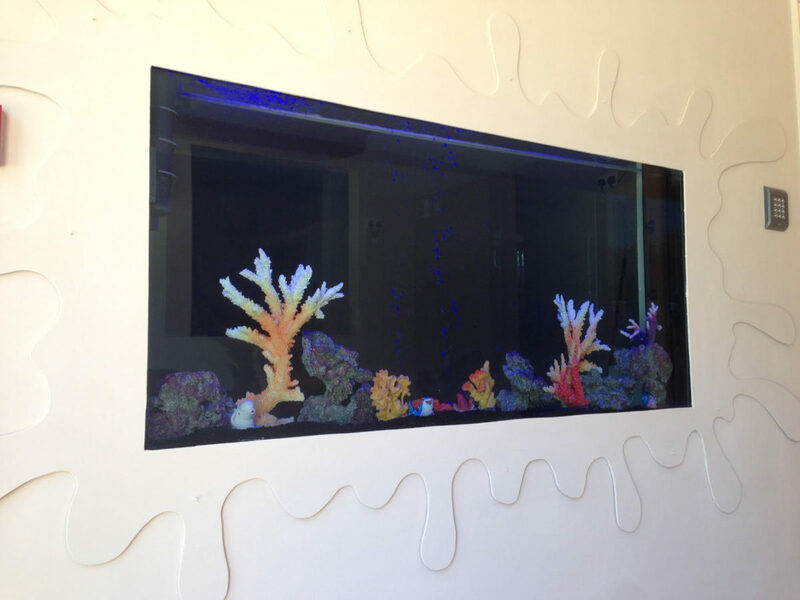 Interested in a built in wall aquarium?